Family. Food. Chores. Star Wars! That’s the summary of our couple days off in Tucson. 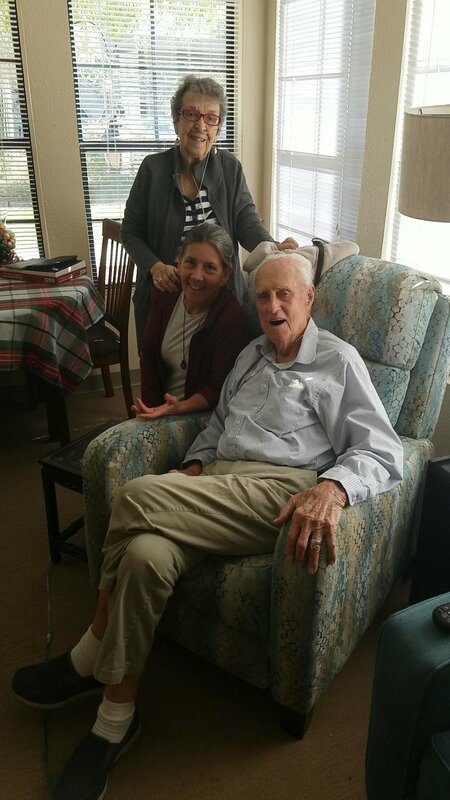 We got to visit Tenny’s grandfather, who had just gotten out of the hospital, and spend some time with him, his wife, Colleen, Fred and Kim, and Tenny’s aunt and uncle, Jim and Mary, who also live there. They have a beautiful house with room for us and we were grateful to be able to relax in an actual home. We even got to attend a neighborhood holiday party, where we were plied with plenty of drinks, treats, and the traditional holiday tamales. Yum! Thank you to Fred, Kim, Jim and Mary for making this break possible! The other major news from our time off was that it looks like we’re gonna have to skip the entire Tohono O’odham reservation. This is a big blow. We were really looking forward to moving through this area and learning more about it’s unique and specific history. There are two Tohono districts along the border and one has denied our request. The other is still deliberating. Will that be a no also? We don’t know how long it will take and we have to get back to hiking. Hopefully we can return later in the trip, but it will require some complicated planning. We hate to skip such an important section but we are very cognizant of the fact that reservation land is not ours to feel entitled to. We are grateful that our request was considered and we respect the decision. We’ve been able to move so freely throughout this trip, in contrast to many of the others in these areas, and it definitely provides some food for thought now that our own movement has been restricted.